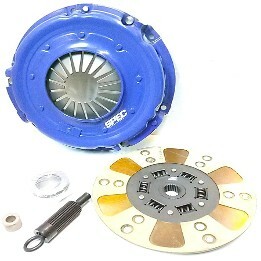 OK MY GM GUYS YOU ASKED FOR IT...HERE IT COMES YOUR OWN DEDICATED PAGE TO YOUR CLUTCH NEEDS...PMP STYLE..
Let the clutch be the fuse...Rather than the more expensive Transmission...Its alot cheaper/easier to have a back up clutch than it is to have a back transmission..Its alot easier to drive a vehicle home with a slipping clutch than it is to with a broke transmission. Plus, if it hits the trans easy it hits the tires easy resulting in.....Better 60' times higher RPM launches..
Find a hill you can pull the car up on, have the car in 1st gear and turn the engine off. Slowly step on the clutch pedal, about half way to the floor or HIGHER the car should start to roll back. If you are real low to the carpet there is something wrong(twisted input splines, bad pilot bearing, not enough air gap on the clutch, low ramped quadrant). Recheck everything until you can achieve half pedal or higher disengagement. 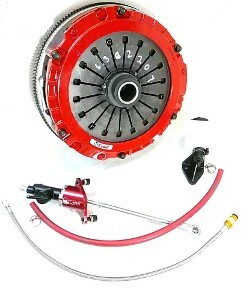 Your clutch adjustment is tight now and should be checked periodically so you do NOT slip the clutch.